Mr Tickle, whose comedic reach sets him apart from other comedians, visits Bath to promote the new Mr Men audiobook by AudioGO. One of the biggest names in the history of British comedy visited the West Country yesterday to promote his new audiobook. Mr Tickle, widely regarded as the “funniest man on the planet”, popped into the AudioGO offices in Bath as part of a nationwide publicity tour. Tickle, whose comedic reach extends “far beyond” other stand-ups, spent almost two hours in the complex where star-struck employees queued for photographs and autographs. His visit coincides with next month’s re-release of the Mr Men audiobook, read by the Dad’s Army star, Arthur Lowe. 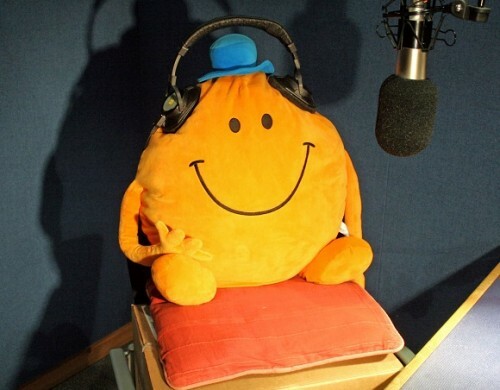 More news about the Mr Men audiobook will be shared on the Palamedes PR website in coming weeks.